Some might think of Ireland as drab and rainy all of the time. I can attest that that is false, at least based on the time I have spent here. It has rained, yes, but not any more so than it does in Minnesota, in the few moments it does not snow back home. Besides the weather, the landscapes here are incredible. In County Mayo alone, where our town of Louisburgh is located, there are countless beaches along the coast, mountains, and lakes, all among fields of the greatest greens. The greens of the hills and blues of the ocean are the most vibrant colors here, but the sky can change from blue to purple in a matter of minutes, the likes of which I have never witnessed in Minnesota. 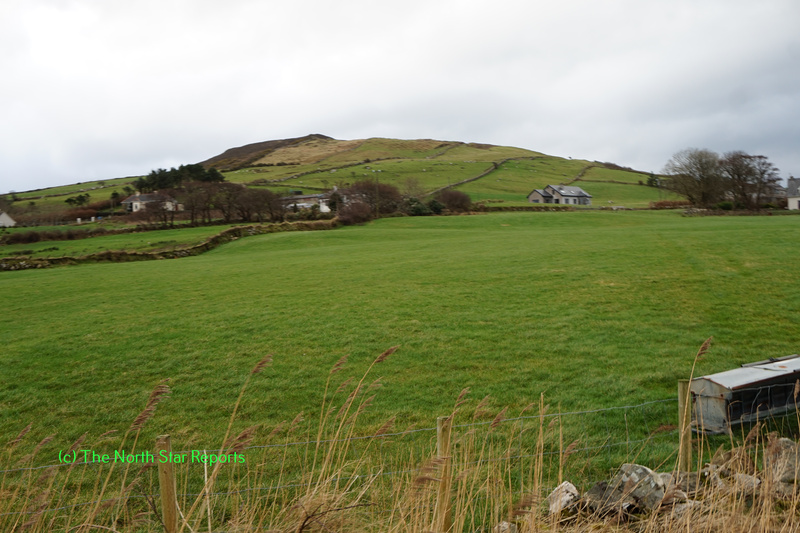 These photos show an extremely limited range of the colors I have seen in Ireland. 1223: The hills en route to Carrowmore beach. 1211: A field en route to Carrowmore beach. 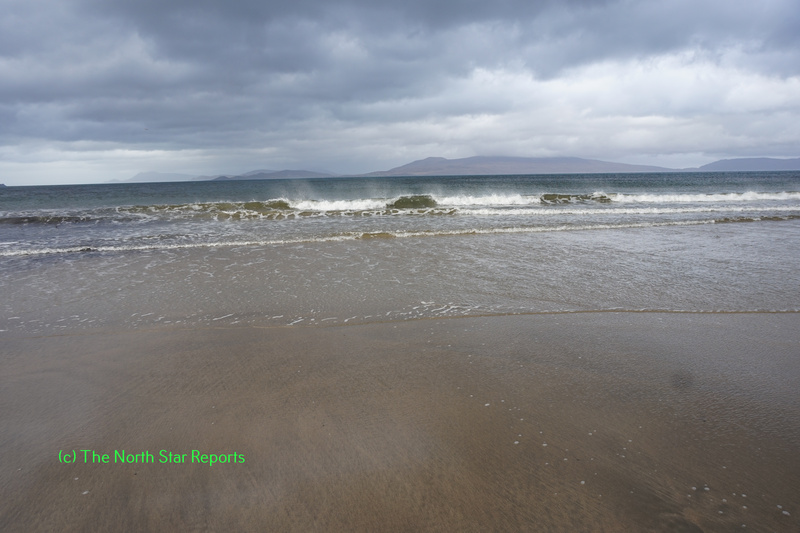 1265: The waves and sky viewed from Carrowmore beach. 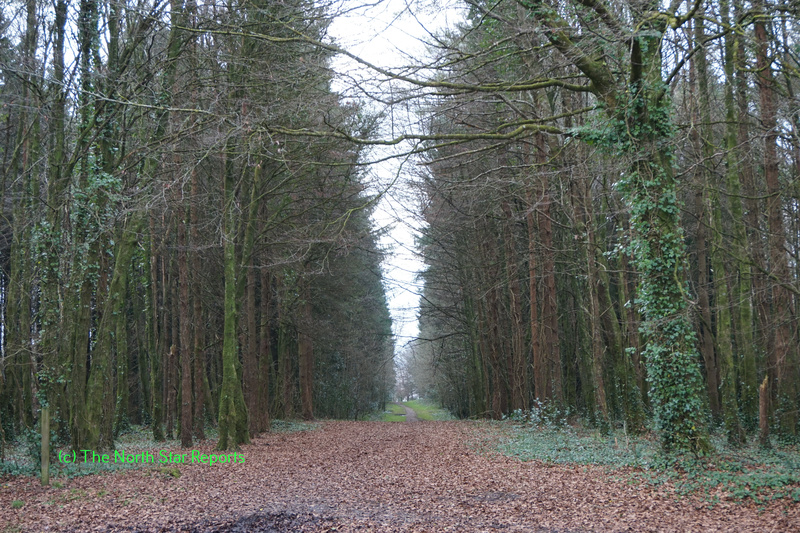 1319: The path through the woods to the ruins of Moore Hall. Thanks for sharing such beautiful moments of your experience with all of us, Allison. Ireland looks truly magical, the ocean and rolling landscape is reminiscent of storybook descriptions and the photos you took really capture that I feel. One of my best friends is heading to Ireland next semester and I am anticipating seeing the beautiful pictures he is able to capture even more after being able to see yours. Thank you for sharing Allie. The pictures you took are amazing! To be honest, I did have a certain image of Ireland that came from movies and other media. I think Ireland, like many other places, is portrayed in certain way (rural, bad weather) repeatedly, which has created a stereotype of it. You are lucky to have a chance to visit. By sharing your experience you are helping break the stereotype; thanks again! What a wonderful and positive post! I love how you’re able to see the beauty in a place even though people may say it’s too cloudy, rainy, or dull. I love nature and the beautiful landscapes it creates. I think that there is beauty to everything. We just have to also appreciate the little things because when you think and look close enough, everything really is beautiful in its own way. Thank you so much for sharing and having such wonderful pictures!! Wow, Ireland is absolutely beautiful! There is so many different colors and scenery that is so amazing! I want to go to Ireland incredibly badly! I am going to try hard to study abroad the spring of 2018. These photographs are breathtaking, so I can only imagine what the actual landscapes look like. In our world history class we talked about art and storytelling and the role that they play in someone’s culture. I think that these photographs clearly depict the beauty of the Ireland land and the natural art that is a part of their culture. I also think that it is very cool to be able to look at these photographs as a part of your story. Reading about your trip is extremely interesting, but there is something special about being able to see actual photographs of your time there while you are telling the story. Taking pictures while traveling has also become a ritual for us and it helps us capture our memories and bring them home to show others and remember ourselves. It is something very special that technology is definitely enhancing. I love how simple this article was, but also, how much it spoke. I think many people have stereotypes of how other places are going to be (even if they have never been there themselves). I believe that when people who are not from Minnesota, talk about Minnesota, they often talk about how cold it is because that is what we are known for in some places. The rain and the fog is a lot of what Ireland is known for, but we cannot limit ourselves to these stereotypes. These pictures are a perfect example of showing what Ireland is really like. This article spoke wonders for Ireland. Thank you for taking the time to post these pictures. I enjoy the fact that you are trying to confront our American stereotypes of Ireland. I must say that I also thought it rained all the time in Ireland. When we travel to new places we often have the chance to see how our assumptions were wrong from before we left. Seeing as I am not in Ireland myself I appreciate that I can learn and confront my presuppositions with your help and the information and lovely pictures that you provide. On a side note those cliffs are amazing!! I hope that I can see them someday. What else has been different from what you may of thought about Ireland before traveling there? I have always loved the idea of keeping a photo journal if I ever were to go abroad. Thankfully, the age of technology has made it much easier to take pictures of anything and everything. I must admit when I picture Ireland, I imagine everything being covered in green and shamrocks. I really enjoyed the picture of the cliffs of Moher and that beautiful blue water. Thanks again for all your articles! Wow! Thank you so much for sharing this story. It is important to show off the other side of Ireland that people to do hear about, especially when it is this beautiful. I have never thought of visiting there but this makes me very interested. These pictures make me smile from ear to ear and I would love to witness that sky change colors as quickly as you mentioned. I am a person that loves to just sit, relax, and enjoy the view. I feel like Ireland may be a new bucket list vacation location for me. They seam to have everything from beautiful beaches to big vast grasslands. Thank you for sharing! I was definitely under the impression that Ireland was a cold, rainy, and gloomy place. Your photos definitely proved otherwise! Minnesota definitely has it’s own special spectrum of colors when fall comes around, but it’s tough to find cliffs and hills like the ones you’ve shown. I also liked that you said that this display of images was just a limited amount of colors that are seen in the environment there. I can only imagine what else you’ve seen! It’s nice to see an landscape that isn’t covered with industrial structures and machinery. Thanks for sharing, Allison! Your pictures are beautiful. I can’t even imagine getting to live in a place like that for even a few months. I would take so many pictures that I wouldn’t even have time to just take it all in. The green color there is not like the green we have here in Minnesota. I guess that is why Ireland is called the Emerald Isle. And the blues of the ocean are breathtaking. I’d love to see the contrast between the blue of the ocean and the purple sky that you were talking about. It must be just beautiful there. I hope you are having enough time to enjoy the experience while also taking some pictures along the way. Thanks for sharing your pictures. They all look beautiful and breathtaking. I’m interested in why the sky goes from blue to purple as well as why it goes about it so fast. I bet the Cliffs of Moher are quite the view. I hope you enjoy the rest of your trip. Thank you Ali for the gorgeous pictures. It is quite often we find ourselves choosing vacations in places where there is always warm, sunny weather. Although, the sun can cause those beautiful colors to fade. Ireland, for sure, is a land full of colors and the weather is to thank for them. Sun is a favorite for most, but there are some people who enjoy the rain storms and cloudy days. It is wonderful to hear that you are enjoying a gorgeous country that is known for its beautiful colors, sights, and landmarks rather than the warm weather (which rarely exists). The pictures you have provided, I’m sure from your point of view, does not realistically capture how truly beautiful and vibrant the colors are to the human eye. That just shows that not everything needs to be photographed, but more taken in during the moment and remembering how wonderful it was to view it with your own eye. But from here in the United States, it was great to see the colors through pictures to get a feel of what you may be experiencing. Hi Allison, I love hearing about people’s experiences of them traveling abroad, but I am always more excited to see the types of photos they captured during their time in a new place. I had read a previous article from another student about the Cliffs of Moher, and I think your photograph captures the description of them well. You can definitely tell when you are coming to the coastline of Ireland, based on your pictures, by how mountainous things become! I am very impressed with the vibrant blue color that the sea seems to emit. Have you or your classmates heard anything about how environmentally well-off or friendly the Irish are towards their nation? It appears they take care of it well! Thanks for your post! Thank you, Allison, for recording your experience in Ireland and I would like to say that I have heard both sides of the story as to the weather of Ireland. Although there are different tales, it has always ended up being that they loved it and I can imagine it being just as much as you loved it. The pictures are also wonderful and I can only experience this through your lens, which I am very thankful. These hills though do remind me a lot about Colorado and green. The water is also very blue because people have different experiences, I can only say from these pictures that Ireland is a very colorful place which adds to the level of happiness people experience during their time over there while they had it. By the looks of your pictures, it seems as though your trip to Ireland was awesome! It is always nice to have good weather when traveling as it makes for a more enjoyable trip. I too have heard that Ireland has rather drab weather from my friends who have visited. I also have heard that Ireland is very green and that is all you see. However, from your pictures it seems as though it was a very colorful landscape with perfect weather for touring the land! Ireland sure does seem beautiful. Thanks for sharing! This photos are absolutely stunning! I have never been to Ireland but this photos have me itching to hop on a plane a get over there as soon as I can. I enjoyed your comparison to the rainy days in Ireland to the snow in Minnesota. It’s funny that we stereotype that it is rainy there all of the time, but in reality there isn’t that much. However, its the same for when I say I’m from Minnesota. Some people assume that there is snow here 365 days our of the year, when we only see it six months out of the year. It looked like you had an absolute wonderful time. It is amazing how ones learns to portrait another country, whether it be factual or true. In this essay we see how the American society views Ireland as always being rainy and gloomy, but that is not the case as you have to delightfully pointed out. Ireland is a country that is rich in color and beauty, one must only take the time to look for themselves. I am so happy you shared this with us, I think it proves a great point as to looking at another country in a new way, or your own way versus believing the stereotypes. Ally, another great post! I have enjoyed reading posts and following along on your trip. I found it interesting that you said that the rain fall is similar to that of Minnesota, because I also think of Ireland of a rainy, gloomy country. I thought the pictures you included were amazing! I think it is so interesting the range of scenery Ireland has to offer. 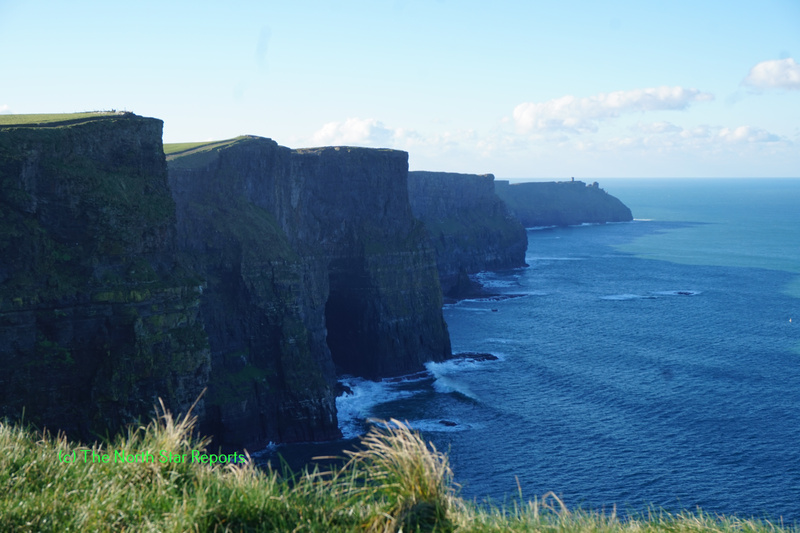 My favorite picture was the one of the Cliffs of Moher – gorgeous! I think it is really interesting how people make assumptions about other places – despite whether or not they have actually been there. It’s hard to even say “oh, this always happens” or “it’s always like this” because that’s a false statement about anything because nothing is THAT concrete. Yes, Duluth is cold, but no, it is not always freezing contrary to popular belief. I think you have laid that out pretty well in this post because you are underscoring the differences, which I think it is so important to talk about. I also appreciate the fact that you’ve taken the time to see the beauty in these places. After all, that’s why people study abroad, and those who have it in their backyard might take such beauty for granted, much like people do here in Duluth. This was a very interesting article to read. It was very short, however, I did get your point. Despite what most people believe, Ireland is very colorful. I loved the pictures you attached. They all show the different colors you have witnessed in Ireland. I cannot wait to have the opportunity to travel to Ireland and other parts of the world! Thank you for sharing! I will admit that until I started reading these articles about Ireland, I thought it was a dreary and boring place. I feel like its just a stereotype that Ireland has. These photos are definitely proving me wrong! I hope the rest of your trip goes well! These pictures are amazing! I really don’t think the pictures do the colors justice, even though they are gorgeous as they are. As for the idea of Ireland being dreary and rainy all of the time, that’s what I’ve always heard about it as well. I think it is interesting how an idea can be so set into people’s minds, but yet be so wrong. It’s kind of like how people say Minnesota is cold all of the time, but our summers actually get pretty hot! Thanks for sharing your beautiful pictures! These photos are absolutely beautiful. I appreciate that you chose to share with us the falsity of the common “Irish drab weather” stereotype. Aside from it raining about the same amount in Ireland as it does in Minnesota, would you say the temperature is similar? In your photos it appears to be substantially warmer (although obviously not quite tropical) than the frozen tundra that is Duluth. I would love to see more photos of Irish landscapes you encounter on your trip. Thank you! Hi Allie! Thanks for sharing. Well, based on how you describe Ireland, it sounds a lot like Duluth. The colors in your photos are beautiful and I am sure that photos don’t do it justice. I especially enjoy how the landscape looks against the sky, how pleasing! Cheers! County Mayo’s landscape and coastline is beautiful. My Nanna was born and raised in County Roscommon, east of County Mayo. At the age of 18 she traveled by boat to the city of Liverpool, in North West England; to train as a nurse. While Roscommon may not have a coastline, it is slightly bounded by water; with its lakes and marshes. Moving to a big city was a change for my Nanna, she loved her home and missed the beauty of the countryside and open fields. The weather is similar to that of home for me in England, but as someone highlighted, it cannot be limited to a stereotype of Ireland. Those picture are incredible! They all make me want to get on a trip to Ireland and explore its beauty right away. As a person that has always have an interest in photography I find the idea of a photo journal as something incredible. I believe that there are things that one can see and yet not express with words, things in which words don’t do them any justice, there are things that are only worthy of images, and yet even this pictures as amazing as they are I believe do not give the beautiful country of Ireland any justice. All of these pictures seem as if they came from a movie, as if they were false, and yet the fact that they exist is mesmerizing. I really hope you are enjoying your trip, and I wish that I could be there to explore this amazing country just like you have. Those are certainly beautiful pictures! I will admit those are sights that I probably would not be expecting in Ireland. It goes to show that every part of the world contains nice looking spots wherever you decide to go. The picture of the cliff and water really catches my attention. I love water and it looks great by the rock. Thanks for sharing. I very much enjoyed to change in article layout. Short, sweet and to the point but it also opened up a door of stereotypes without saying it. The idea that we are feed to believe that a place is dreary, cold, wet, and boring by media. In all reality it is a beautiful, vibrant place that is contently changing. This could be applied to anything. Thank you so much for sharing the truth about Ireland and the beauty it has to offer! Thank you for sharing Allison. I am glad that you are continuing to write about your experiences in Ireland. I think photo essays are really helpful for the readers of NSR because most of us have only seen some of these places from movies or even just heard about them from the media. Your photos allow us readers to see parts of Ireland for what they really are. It is cliche to say this but a picture really is worth a thousand words. I am glad that you are passionate to show that Ireland is more than rainy and mute colors there is a vibrant world in Ireland and you are willing to show it. I can’t wait to see more of your trip! It’s amazing how beautiful things become when you actually acknowledge them! A lot of appreciating the natural beauty of a place is looking past the procedures of our every day lives and simply looking at our surroundings for what they are… Not as passing backdrops on our way to something else. It is wonderful to capture this in other countries (and, out of novelty, much easier). Because of this, it is a great exercise to sit back and appreciate the aesthetic of new sights. With enough practice, we can start to apply this sort of mindfulness to our own lives back here in Duluth, adding a level of depth to our experiences at home. Thanks so much for the pictures, Allie. They’re incredible! It looks jaw dropping just to be there and witness those amazing sites. Personally I love sight seeing and exploring that is partially the reason i chose Duluth for my education. I think seeing all these articles on Ireland just makes me want to go visit such a beautiful country that much more. I love the pictures you included and found them interesting and sweet to look at. Hopefully I will get a closer look and come to Ireland at some point in my life. Thank you for sharing your story. Allison, thank you very much for sharing photos from your travels. This reminds me of the article written about not going too far from your own back yard to find beauty. When we travel abroad or even in our own country, we are fascinated by the landscape that is unfamiliar to us and often times we take for granted the beauty that we have in our own backyard. I am sure that the landscape and views that you have seen are quite ordinary for the people who live in the country you are traveling. This is not to say that the landscape and fields and overlooks are not extremely beautiful, but it just makes me feel more thankful that I can take in the views around Duluth as I drive up to Enger tower, or walk along the beach of Lake Superior. The pictures you took are amazing! I love the contrast of colors that all of them have. It is incredible how different a place can look just by the time of day and the season. This is also the reason why I love Duluth. Some of the pictures I take here look like they should be from somewhere else and not Duluth, Minnesota. It really makes you appreciate the land and the fact that it will never get boring because the scenery is always changing. I have been looking at traveling abroad to Ireland and I hate to admit it, but I did think that it just rained there a lot because that’s what I’ve been told. I am pleasantly surprised to find out I was wrong. This article, however, has changed my mind and if those pictures show even the slightest snapshot of Ireland, then I am very excited. It is interesting the types of sterotypes one can imagine when Ireland or the UK in general is mentioned. Even though I have never visited the UK I do imagine that it rains quite a bit. I find it ironic that you mention the amount of rain that we get back home. I am assuming you mean Duluth or at least Minnesota because you mentioned snow. It has currently been raining for what feels like weeks on end and the snow is soon to follow. The pictures you took are fantastic and my favorite was the view of the cliffs and the water. I would be interested to learn about the biodiversity of the area because there seems to be a diverse variation in landscape. Whenever I visit somewhere, I bring my camera so I can capture the memories. I am always sad to discover that no matter how good of camera I have, it truly never does the beautiful landscape any justice. These pictures look so fantastic that I cannot even imagine how beautiful the places looked while there in person. It is always funny to compare the assumptions that are commonly told about a location to how the place actually is in real life. I have heard about the constant rain in Ireland, but everyone I know who has visited has told me the opposite as well! Ireland has always been a dream vacation of mine and this post has just made me more antsy to visit it someday! 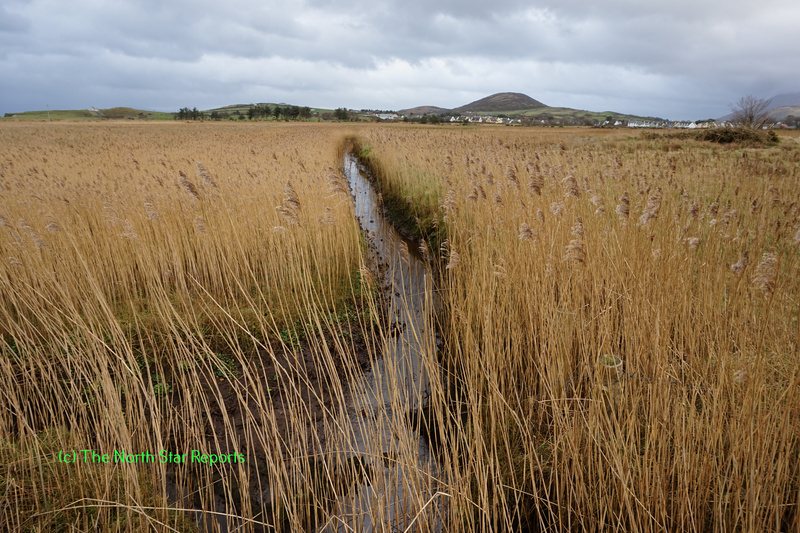 Allie, I love the variety of colors that you captured in these pictures of Ireland! I think that it helps to see them all together as a series to really appreciate the beauty–I’m sure that the places you visited were even more amazing in person! It’s interesting that it was only as rainy in Ireland as it is in Minnesota because I certainly would have guessed it would be quite rainy there. Landscape photography is my favorite kind of photography, so thank you for sharing these! Allie, I so wish I could have seen these first hand. There is something entirely magnificent about the land that you explored, the colors you noted, and these photos you’ve taken. I just got through thinking about the way we value our natural surroundings in Western society, and I think that we often place higher value on that which we are not directly linked to. We take far more pictures of far off places than we do our own yards. I think this is an interesting conundrum, however, because just as much as we value the tourist areas of foreign places, we value being able to dump our garbage, recycling, e-waste cheaply in other foreign places. Do we place higher value on the landscapes of Western civilizations than we do others? How do we translate the sense of wonder we feel looking at these photos to our own surroundings and to the lands of peoples of whom we pose a major threat (via resource extraction or dumping)? Thank you for these beautiful photos. They’ve provoked a lot of thought for me. I found your post to be very interesting regarding the variety of color one can find in Ireland. If I’m being honest, I’ve never actually learned very much about Ireland or it’s landscape, but the pictures you shared really stood out to me. I especially liked the Cliffs of Moher and the path through the woods to the ruins of Moore Hall. The cliffs are unlike anything I have ever seen before and the path is beautiful because while it appears that the leaves have all fallen off the trees, there are still vibrant green vines that run up them and appear to give a new life to the forest. I find it amazing how much significance a picture can hold and appreciate you sharing these ones.